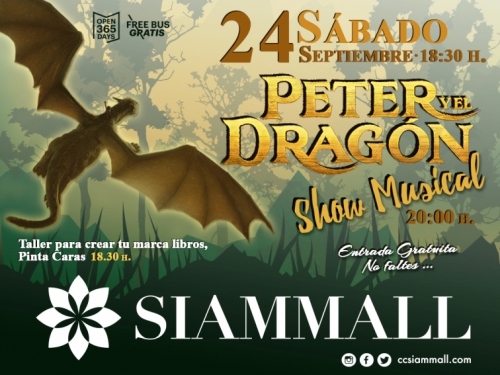 To celebrate their smallest visitors going back to school, Siam Mall are putting on the Marvellous Peter and the Dragon Musical Show at Siam Mall for all to enjoy. The show is free to watch and starts at 6.30pm on Saturday September 24th. The little ones can also take part in an interactive workshop to create their own book markers, as well as other surprises.